Canada and Ontario are working together to take action on climate change and find clean solutions to help homeowners and families save money, reduce energy waste, create jobs and support healthy communities. 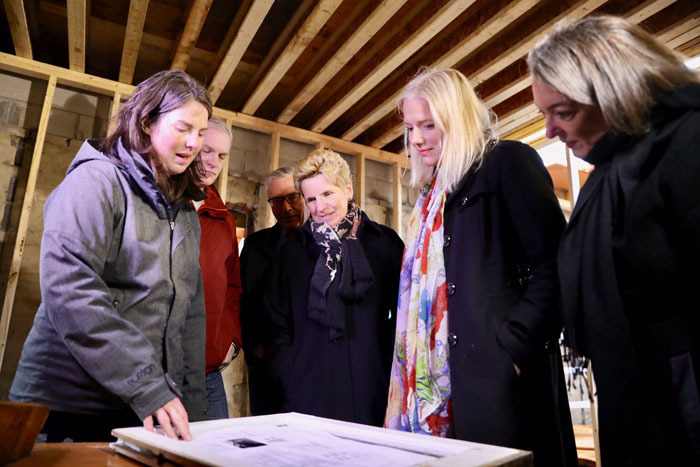 Today, the Minister of Environment and Climate Change, Catherine McKenna, and the Premier of Ontario, Kathleen Wynne, announced a federal investment of up to $100 million to help the people of Ontario make energy efficient retrofits to their homes - including apartments, townhouses and low-income housing - and businesses. This funding will support the province's GreenON Rebates program, which helps cover the cost of eco-friendly retrofits across the province. This investment is supported by the Government of Canada's Low Carbon Economy Leadership Fund. GreenON Rebates will assist property owners make energy efficient changes like installing better insulation, high-efficiency ventilation systems and heat pumps, and other devices to save energy and reduce costs. As part of its Climate Change Action Plan (CCAP), Ontario in investing up to $1.7 billion over the coming years into GreenON to support a wide range of programs, including rebates and programs to help families, business and farmers make environmentally friendly changes. The CCAP is a five-year action plan that is making life more affordable for people across the province and making Ontario a leader in the global fight against climate change. Revenues from Ontario's carbon market, which puts a cap on the carbon pollution businesses can emit, are funding this action plan. The Government of Canada's Low-Carbon Economy Leadership Fund provides $1.4 billion to provinces and territories that have adopted the Pan-Canadian Framework on Clean Growth and Climate Change (PCF), to deliver on commitments to reduce greenhouse gas emissions. Today's announcement is part of the almost $420 million Ontario is receiving through the Leadership Fund. The Government of Canada’s Low Carbon Economy Leadership Fund will make homes and buildings more efficient, comfortable and affordable to run, help companies across Canada innovate and access technologies and help the forest and agriculture sectors to enhance stored carbon in forests and soils. In January, Ontario became part of the second-largest carbon market in the world, which forms the backbone of Ontario's strategy to cut greenhouse gas pollution to 15 per cent below 1990 levels by 2020, 37 per cent by 2030 and 80 per cent by 2050. Ontario’s carbon market has generation approximately $2.4 billion in revenue to improve schools, hospitals, transit and other projects like new bike lanes that are building a greener, more energy efficient province. Ontario has committed up to $1.7 billion over three years to support a wide range of programs under the Green Ontario Fund (GreenON). Through GreenON, property owners are currently eligible for rebates up to $7,200 in savings on new insulation; $5,000 in savings on replacement windows; $5,800 in savings on some air source heat pumps; and $20,000 in savings on installation of some certified ground source heat pumps.